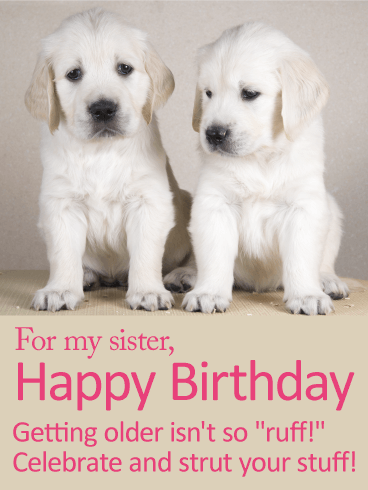 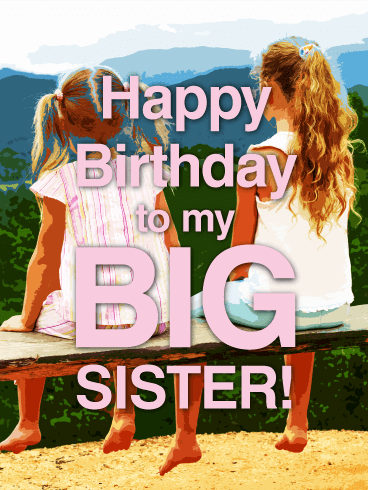 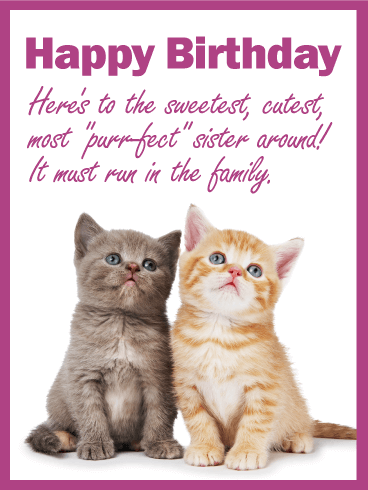 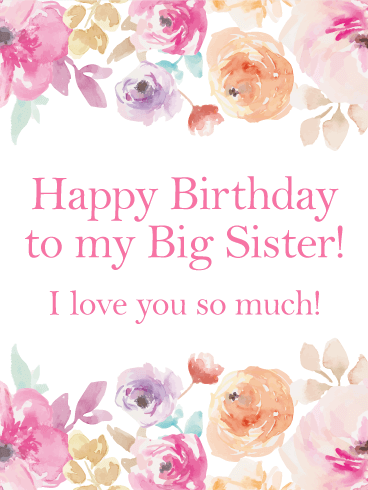 Happy Birthday to my Big Sister - I love you so much! 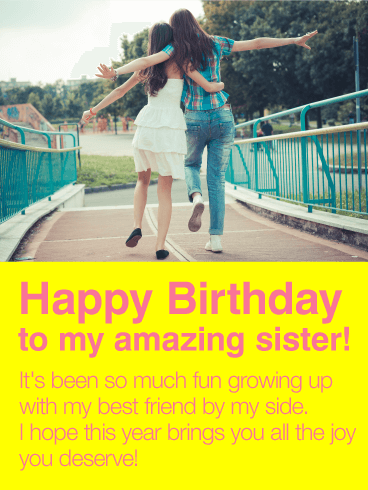 She was your first friend...and she's been your best friend ever since. 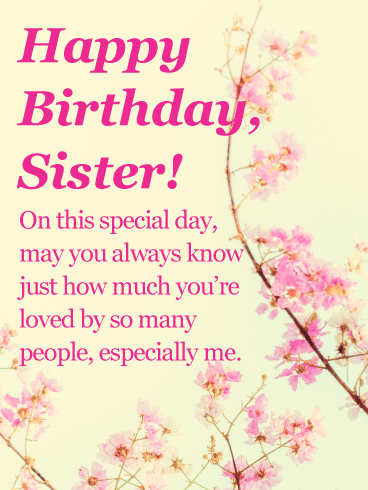 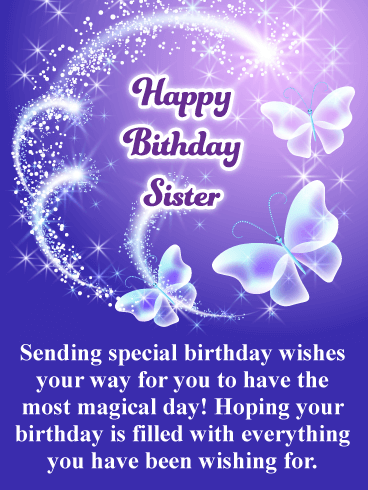 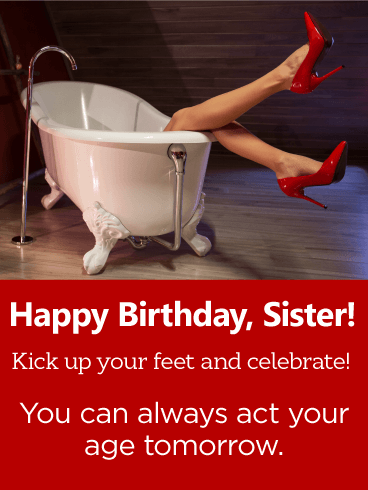 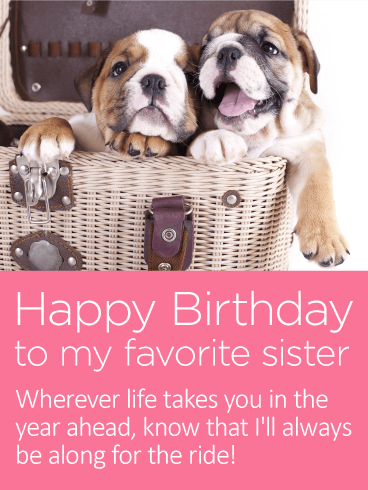 So on her birthday, let your "amazing sister" know that your wish for her is a year that's full of all the wonderful things she deserves. 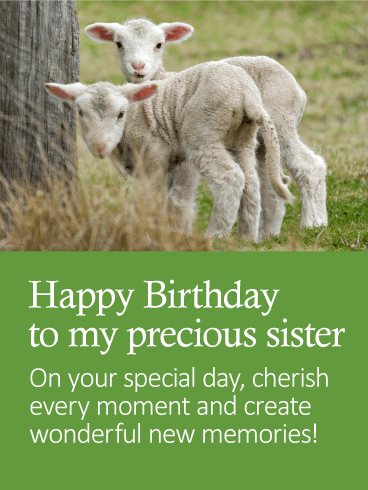 This charming birthday card, featuring two sisters locking arms as they skip along a path, is the perfect way to remind her how much you cherish every minute you spend together, even if the demands of life keep you from seeing each other as much as you'd like. 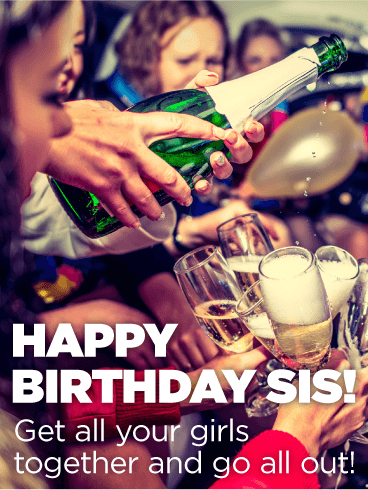 She's always the life of the party, so pop the Champagne and get ready for some fun as you celebrate your awesome sister's birthday! 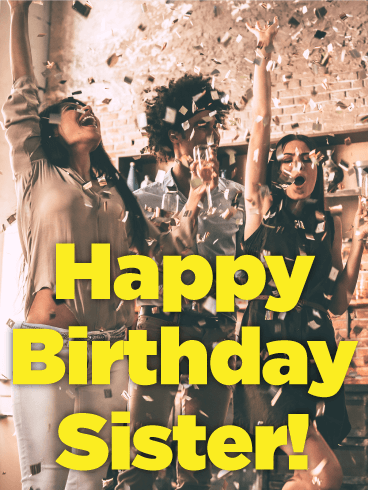 This birthday card will make her feel fabulous about turning another year older, whether she's spending a quiet night with family or hitting the town in a limo surrounded by all of her closest friends. 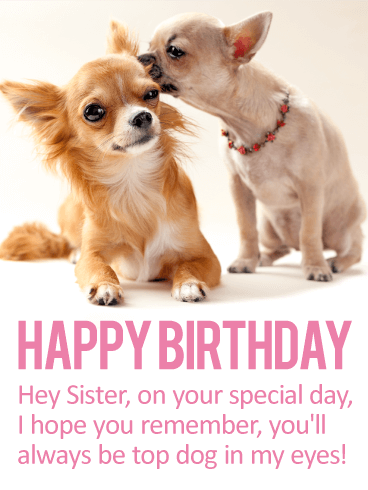 What really makes this greeting special, though, is that it came from you!